While I had planned to include all of the photos in previous blog posts they were omitted for one reason or another. This slideshow seems the perfect opportunity to share them. Enjoy! Winchester is a walled city and at various places the wall and its fortifications are not only visible but still in use by its present day inhabitants. To reach High Street (the pedestrian-only main shopping area) we would pass through the Westgate. Just to make it interesting we'd zip through the middle tunnel one day, then opt to use either the right or left passageway the next. Variety is the spice of life! Wednesday we took the 1.5 hour long Winchester Cathedral Tower tour. 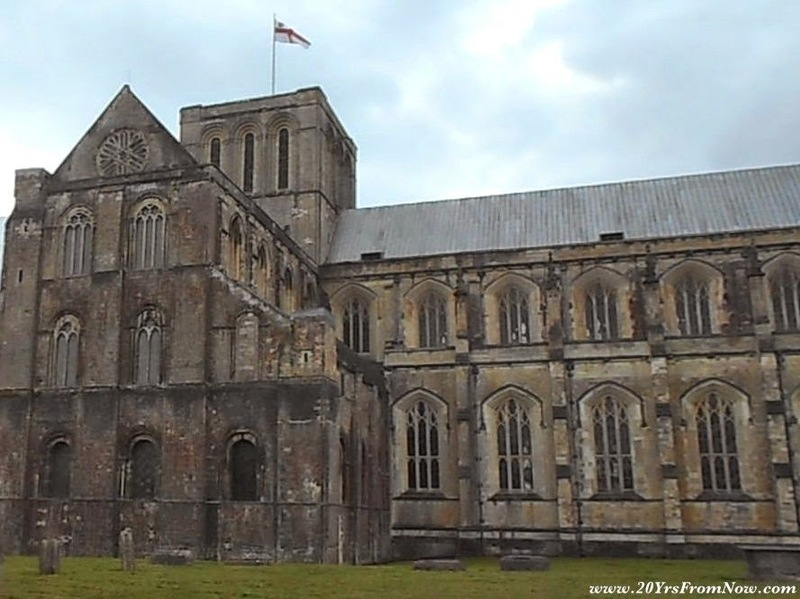 "Climb the 213 steps to the top of the tower and experience magnificent views across Winchester and the county," the brochure said. "You will see the ringing chamber, the great Cathedral bells and walk the full length of the nave roof with its huge wood beams." The end of a housesit is always a mixed bag of emotions for us. We look forward to the homeowners safe return and enjoy watching the reunion with their beloved pets. We also feel a little sad, however, because it's time for us to leave and say goodbye to those same pets of whom we've grown quite fond.